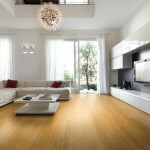 Does Bamboo Flooring need treating after installation? 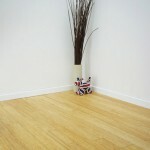 All of the bamboo flooring that we sell has already be pre-finished. 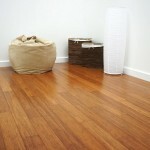 This means that the surface of the bamboo flooring has already been treated and protected. Your bamboo floor will have been finished with lacquer. Multiple layers of lacquer are added to the top of the bamboo floor. This helps to protect it from daily wear and tear and also gives it a beautiful surface sheen. This entry was posted in Bamboo Floors, Maintenance and tagged lacquered bamboo flooring, protecting bamboo, treating bamboo, installing bamboo, protecting bamboo flooring on May 23, 2018 by chris elliott. This entry was posted in Bamboo Floors, Maintenance and tagged water on bamboo floor, damage to bamboo flooring, water damaged bamboo on November 16, 2015 by chris elliott. This entry was posted in Bamboo Floors, Maintenance and tagged dents on bamboo, scratch on bamboo, bamboo floor maintenance on November 10, 2015 by chris elliott. Can I install bamboo flooring in a conservatory? Yes, bamboo flooring can be installed in a conservatory, or room with a large amount of glazing. Bamboo flooring is a very versatile, durable and stable product, meaning that it is more resistant to fluctuations in the heat and temperature associated with conservatories. 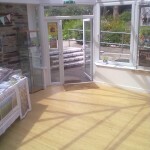 This entry was posted in Maintenance and tagged bamboo and conservatories, installing Bamboo flooring, Fitting bamboo flooring on September 30, 2015 by chris elliott. Can I use a vacuum cleaner on my bamboo floor? Yes, a vacuum cleaner can be use to clean your bamboo floor, but you should ensure it has a specific wooden floor cleaning attachment. 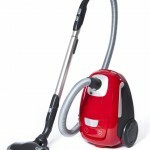 The ordinary vacuum cleaner attachments may have sharp or coarse bristles which could scratch or dent your bamboo floor. This entry was posted in Maintenance and tagged cleaning bamboo, bamboo flooring Maintenance on September 8, 2015 by chris elliott. 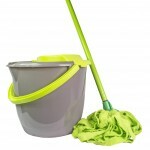 Can I use a mop to clean bamboo flooring? Yes, a regular mop can be used to clean bamboo flooring. The mop must be wrung out and should be damp rather than wet. If the mop is wet, there is a danger that the excess water may which is left on the surface of the floor may find its way in between the joints and cause water damage to your bamboo flooring. Water damage would cause your floor to warp, distort and change colour. This entry was posted in Maintenance and tagged mops and bamboo, cleaning bamboo, bamboo flooring Maintenance on August 31, 2015 by chris elliott. This entry was posted in Maintenance and tagged cleaning bamboo, Cleaning Tips for Bamboo Floors, bamboo flooring cleaning, bamboo flooring Maintenance on April 15, 2015 by chris elliott. Bamboo flooring has quickly become a sought after alternative to hardwood flooring in both domestic and commercial properties. Bamboo is a grass, native to China, meaning that it is a highly renewable resource. As it is a natural product it can create both an elegant and modern feel to your property and is available in a range of styles, colours and finishes. This entry was posted in Bamboo Floors, Maintenance and tagged bamboo floor colours, bamboo flooring structures, bamboo, bamboo flooring guide, bamboo floors, bamboo flooring Maintenance on February 24, 2015 by chris elliott. Which bamboo floors are compatible with underfloor heating? Bamboo flooring is an ideal match for underfloor heating as the natural properties help it to retain the heat, and its dimensional stability allows it to withstand fluctuations in temperature. The bamboo will naturally expand and contract slightly as the temperature increases and decreases. Solid bamboo flooring and engineered bamboo flooring are both compatible with underfloor heating systems, although it is advisable to check with your flooring supplier that the manufacturer has tested the specific type of bamboo flooring you are thinking about using. 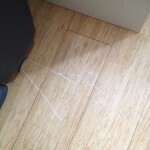 This entry was posted in Bamboo Floors, Maintenance and tagged bamboo flooring underfloor heating, underfloor heating on December 10, 2014 by chris elliott.